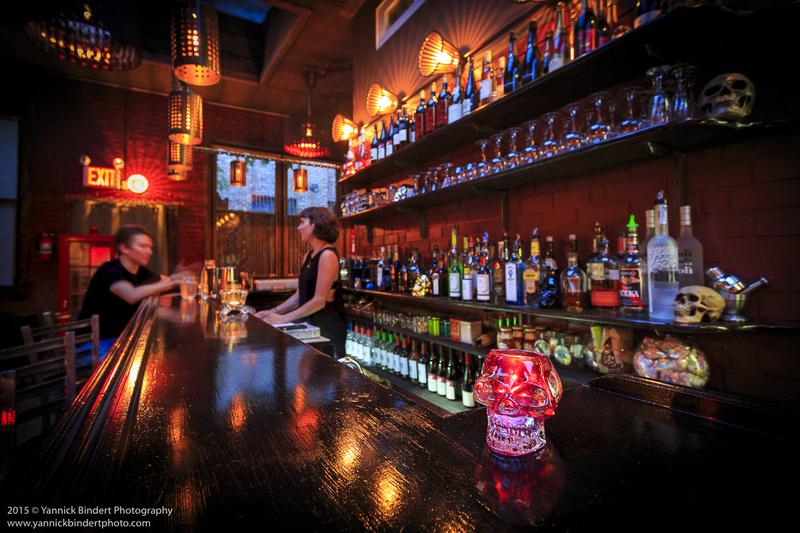 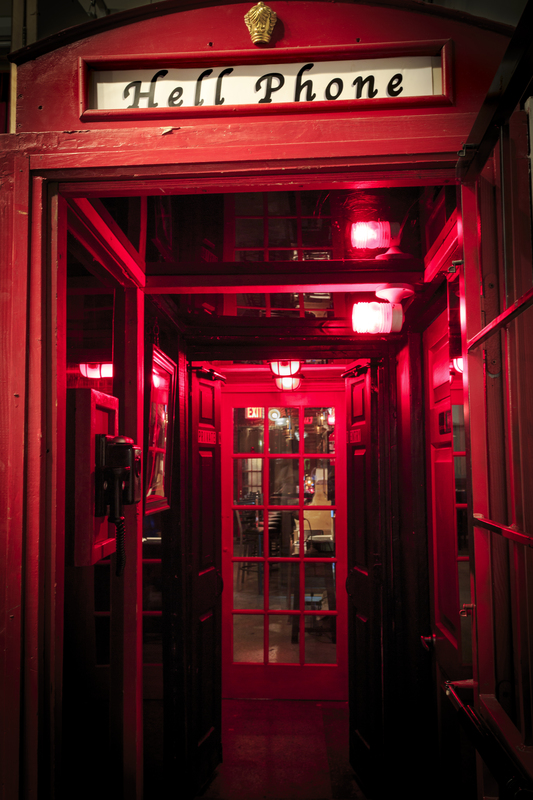 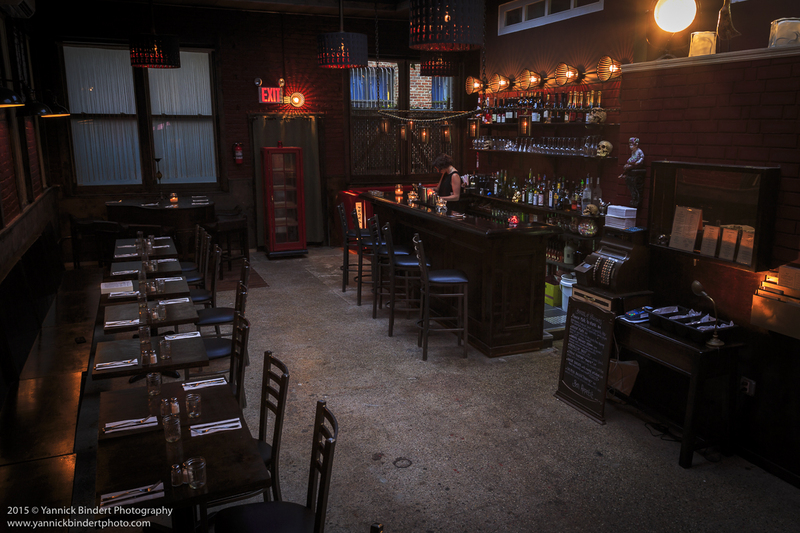 Hell Phone is a speakeasy in the heart of Bushwick. 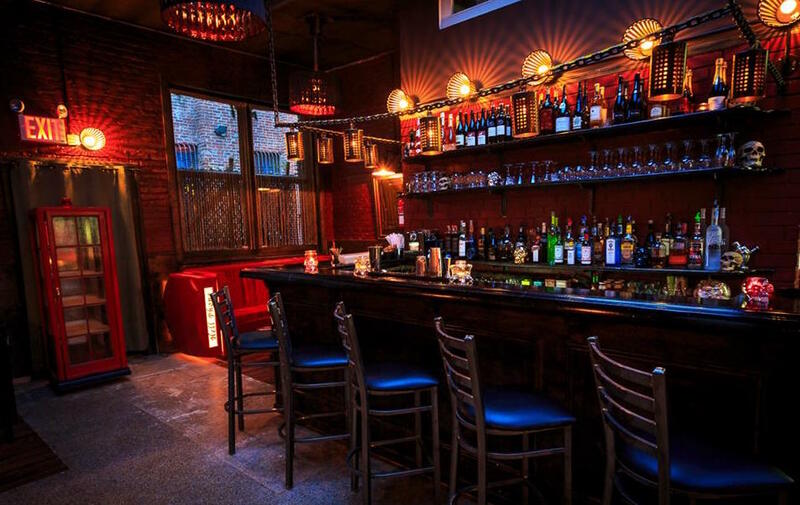 Described as retro-chic this French restaurant and cocktail bar is something out of Doctor Who. 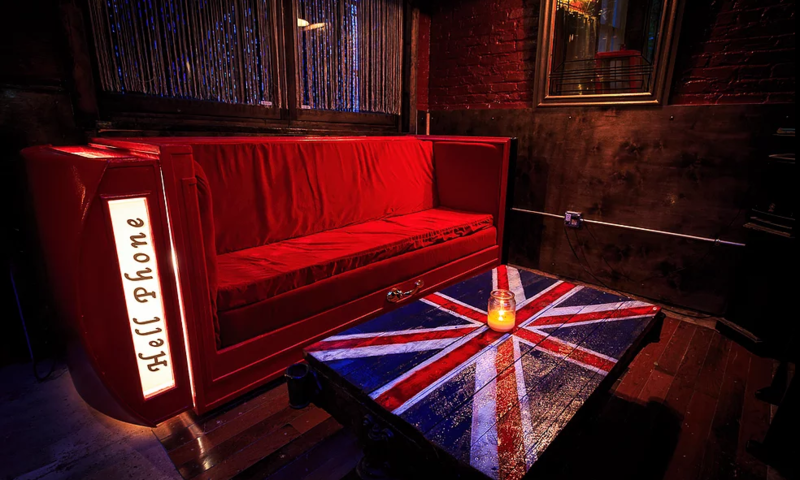 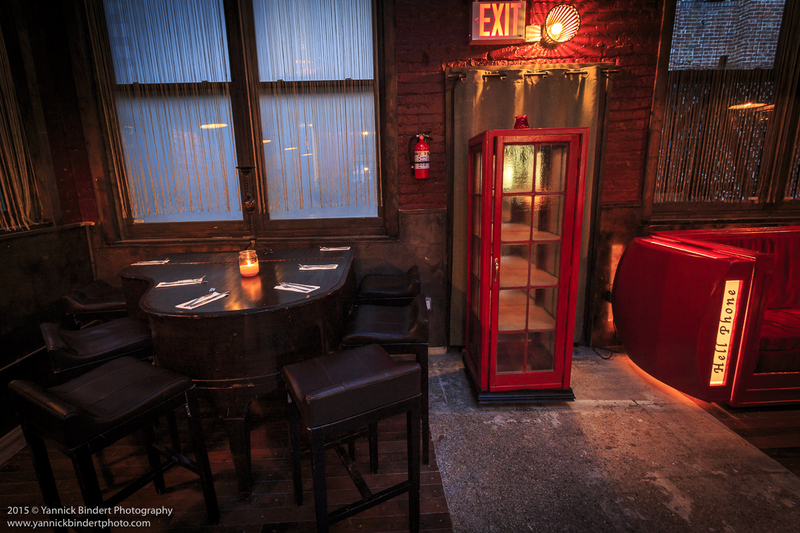 Featured are red velvet sofas made from repurposed phone booths and a vintage piano you can dine on. 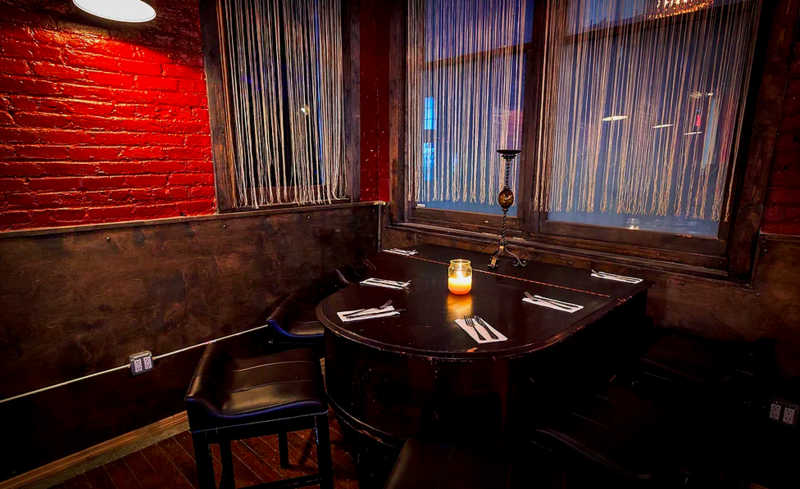 The lighting and original brickwork creates a sophisticated ambience that allows guests to enjoy their meal. 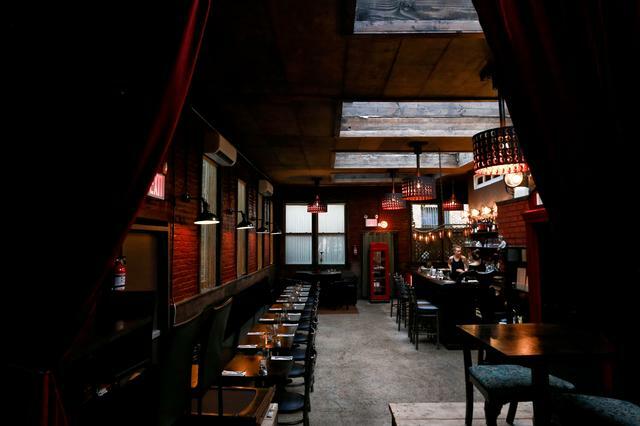 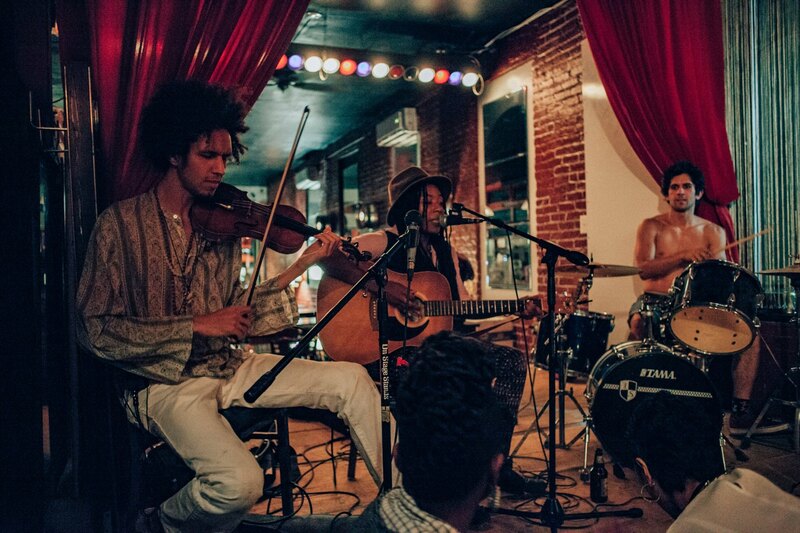 Even equipped with a stage and music equipment the space can be used for parties, video shoots, or any event you desire.